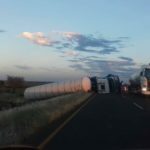 A tanker truck overturned and caused a dangerous disruption to traffic between Kalkrand and Duineveld early on Friday morning. According to first responders on the scene of the accident the driver did not sustain any serious injuries during the accident. Motorists have been warned to take the necessary precautions to avoid the potentially hazardous situation. The truck was on its way back from the south after it delivered fuel when the accident occurred. 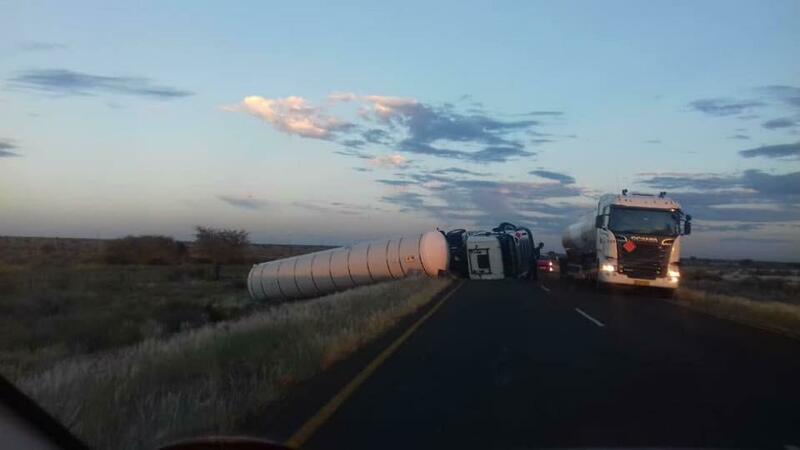 At the time of the accident members of the Mariental Police and emergency services established a wide perimeter around the overturned vehicle to divert traffic because fuel and other chemicals transported in this manner might pose a danger to humans and the environment.